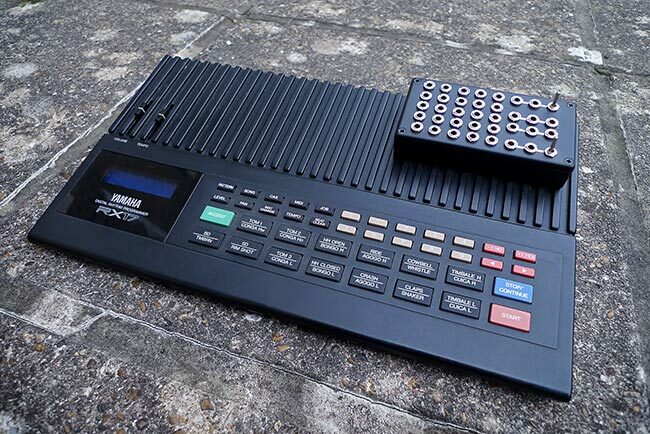 Sometimes you might wonder why Yamaha released so many drum machines under the RX name that were so similar in many ways, and we don't have an answer for you, but we do know that the RX17 and the dreadful RX120 are the runts of the litter. 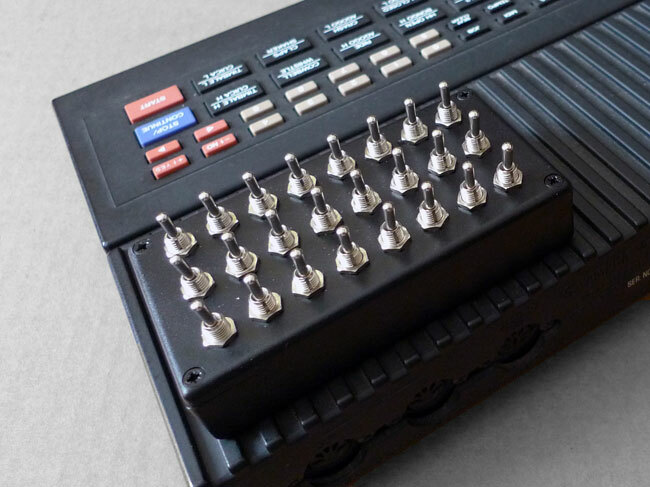 The RX17 has very few programming features worth mentioning and was probably designed for the 'home organ' market, but when circuit bent it has a kind of gentle savagery to it that you don't find on any other bent drum machine. 25 way main patchbay: More information and details of our patchbay mods can be found HERE. The RX-17 seems especially good at shimmering ring mod and chopping effects on the high frequency sounds, along with unexpected percussion sequences on each drum hit i.e. the crash cymbal can start as a crash and then strangely morph into a clap, timbale or any / all of the other sounds in sequence. It also seems keen on creating looping within the sound sample, as if a short loop has been set up and the loop start point is moved along the sample as it plays back. This machine will never be a punchy bass monster in any respect, and the standard onboard sounds are a little uninspiring to say the least, but if you wanat a cheap sources of some very bizarre circuit bent percussion sounds you won't go far wrong with a bent RX17. As you can see from the pictures, there isn't any room inside the RX-17 case to mount the patchbay internally so it has been mounted in a case bolted to the front panel. 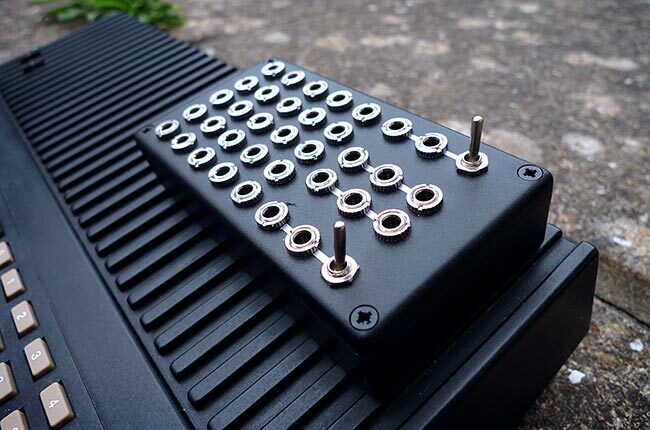 The other modding option is using a 24 way Bend Bus switching matrix instead of the patchbay. 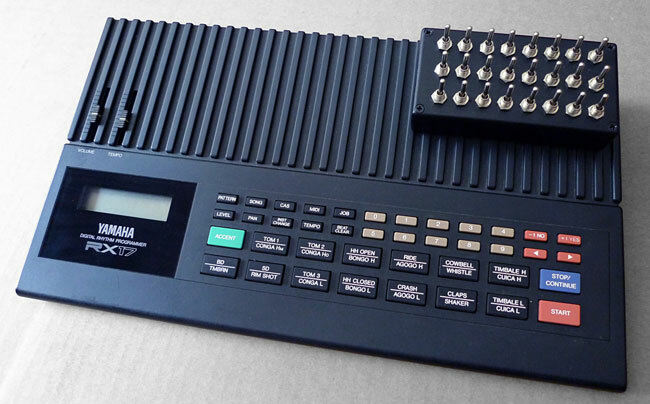 This is possibly slightly less versatile than the patchbay, but its more immediate and fun for live use. The switching matrix version costs £95. As you can see, like the patchbay, the switching matrix is also mounted in a small external case bolted to the front of the RX17. The normal operation of the RX17 is not effected when there are no switches activated. Below is a demo from a RX17 with the switching matrix. As you can hear, in terms of the sounds available theres probably not much difference between the different versions. The patchbay is slightly more controllable and subtle, but in the end it just comes down to which interface you prefer. Click on the demos below to hear what these mods can do. if you want your RX17 modded get in touch using the CONTACT form.